We know we keep talking about the safety features of Honda vehicles. Well, 2013 has ended on a high note when it comes to safety recognition. Five — that’s right, five! — Honda and Acura models have received the highest rating of Top Safety Pick+ from the Insurance Institute for Highway Safety (IIHS). The 2014 model year has much more challenging technology requirements than in the past and we had more models ranked with the top safety ratings than any other automaker! If you’re looking for a safe ride, consider the Accord (sedan or coupe), the Odyssey (the only minivan to receive this rating! ), both of which received the Top Safety Pick+ rating. 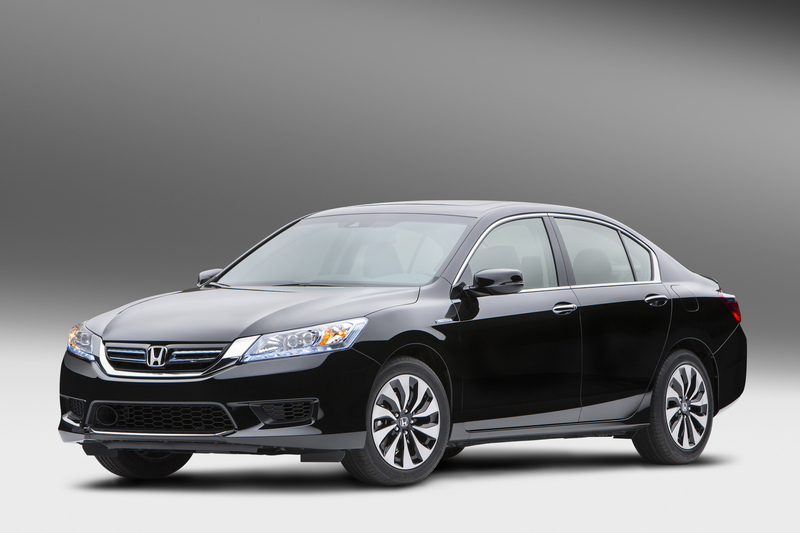 The Civic (sedan or coupe) also received a Top Safety Pick rating, along with the Acura TL. The Acura MDX and RLX are also in the top rankings with a Top Safety Pick+. What is the IIHS Top Safety Pick rating? The IIHS Top Safety Pick rating recognizes vehicles that do the best job of protecting vehicle occupants involved in front, side and rear crashes, plus rollover and small overlap front crashes based on performance in the Institute’s tests. Under this year’s more challenging requirements, the IIHS is using the Top Safety Pick+ designation to recognize vehicles that not only performed well in its crash tests but also are equipped with technologies that help prevent or mitigate front-to-rear collisions. Front collision prevention, which includes both warning systems and automatic braking, is intended to help inattentive drivers avoid rear-ending a stopped or slower-moving vehicle in front of them. If you want to find out what it’s like to get behind one of the safest vehicles on the road in 2014, book a Dynamic Test Drive today!